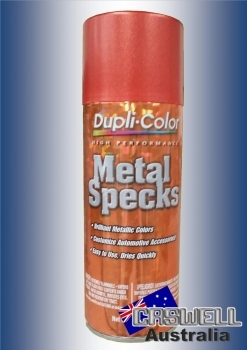 ﻿Dupli-Color® has taken old school color, introduced it to new school and created Metal Specks™ … a “retro” look in a can. 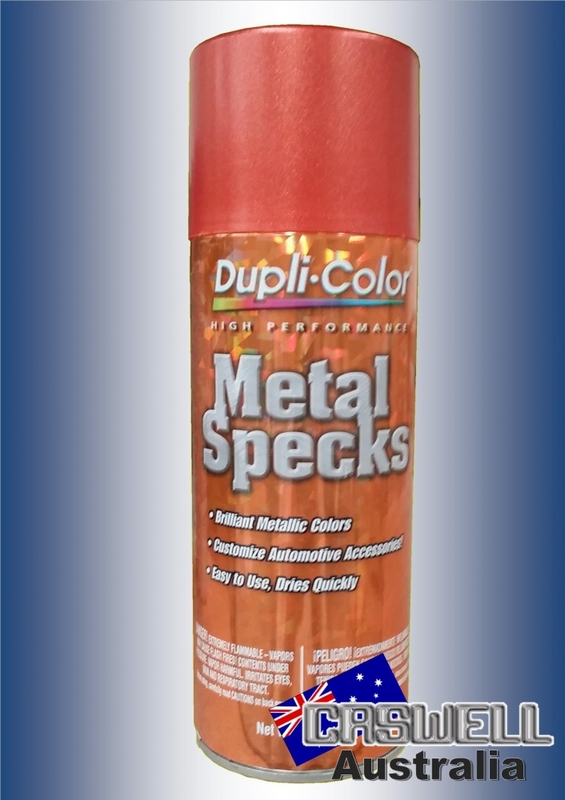 Metal Specks™ takes off where Metal Flakes of the past have left off. Our new technology in paints and coatings combined with hot “retro” colors creates a look that jumps out at you. In the sunlight, Metal Specks shimmers with tiny floating metallic pieces suspended in color. Available in Retro Red, Ocean Blue, Shimmering Green, Burnt Copper and Sparkle Silver. Perfect for any automotive accessory, bikes, helmets … go back in time today!